So I shared on twitter but how would you know it’s me ? Can you find my email through twitter or just sent a twitter message which I would never get? Thanks for the sharing! We want to let the world know our name: Anker! 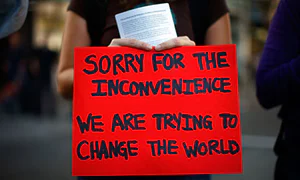 The rest of world also important for us! But we need to occupy the U.S. market first! I really like the first video! That woman acts very well! I know you will help us spread the video even without the prize! It depends on how many US social media fans help us shared the video! Yes! it works too!! Don't worry! 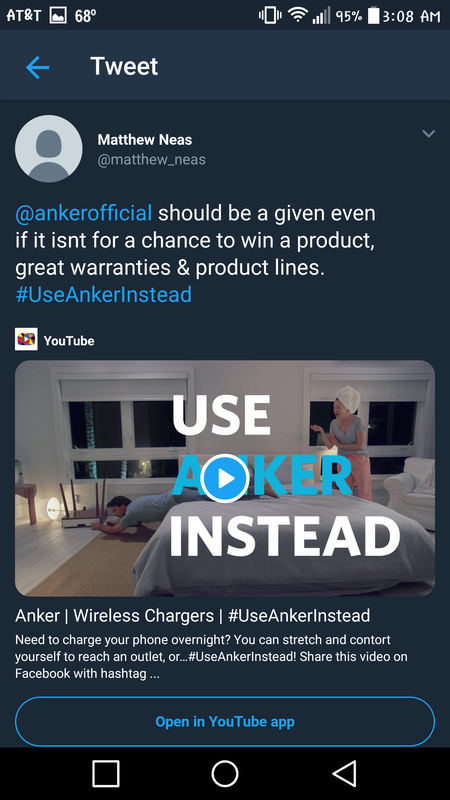 You need to share the video to twitter and @AnkerOfficial on twitter, so that we could find you! my twitter is through a different email, but its @anker and @ankerofficial, so Im entered? Figure maybe its best to show my twitter post here since i have a seperate email there. Everyone knows Europe and especially UK is the best market to impress. If you shared the video to your twitter and @AnkerOfficial, you are automatically entered! Haha, yeah I do agree.